Setting strategy and expectations for a new study can be a challenge, even if your company has extensive experience in the indication. Questions relating to study placement, expansion into emerging markets, the length of recruitment, the number of sites and the specific sites to engage are only some examples that can be readily examined using the CORE program tools. Obtaining a broader perspective on these questions — based on reliable data — is prudent business practice. CORE is designed to help companies enhance study start-up and optimize enrollment performance. 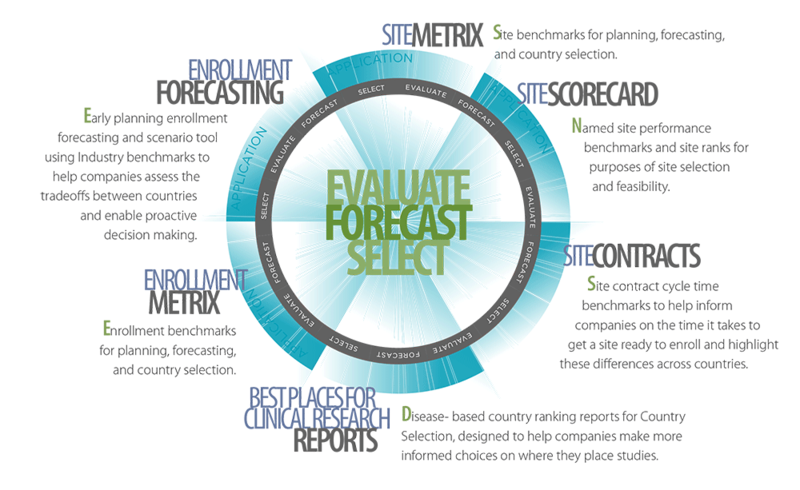 The tools are intended to be used on a regular basis by those involved in clinical trial strategy, country selection, clinical trial planning, forecasting, startup, feasibility, and site selection. Designed with your goals in mind, CORE helps companies make more informed decisions, reduce risk and improve performance throughout the enrollment life-cycle. Evaluate, Forecast and Select knowing that the best information in the Industry is at your fingertips. Find out more, contact KMR Group.